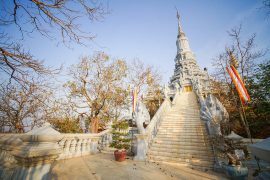 There is nothing worse than visiting a country like Cambodia and to cause offense without even understanding what you have done wrong. 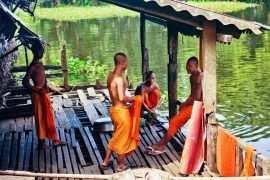 Green Cultural Travel has prepared this article to help you to understand the behavior of Cambodian people in order to adapt quickly to their manners. Indeed, the Cambodian possesses a custom very different to the Westerner. The smile, the politeness, the welcome and modest behavior constitute good local manners. To greet someone, we do not shake hands or kiss but we join the hands at the level of the breast and bowing slightly (with an equal person). But if it’s an important person your hands have to be at the level of your face. This local custom it called “Sompiah”. Don’t point a finger at someone. This gestural behavior in South-East Asia has a particular importance so it can seem very familiar or even offending. Don’t call someone directly by their name, it is considered as impolite. So you have to precede the name of someone by Sir or Madame. In Cambodia there is a lot of poverty so there are a lot of beggars including old people and victims of antipersonnel-mines. A small gift of the local currency riel will change their day and put some food in their stomach. 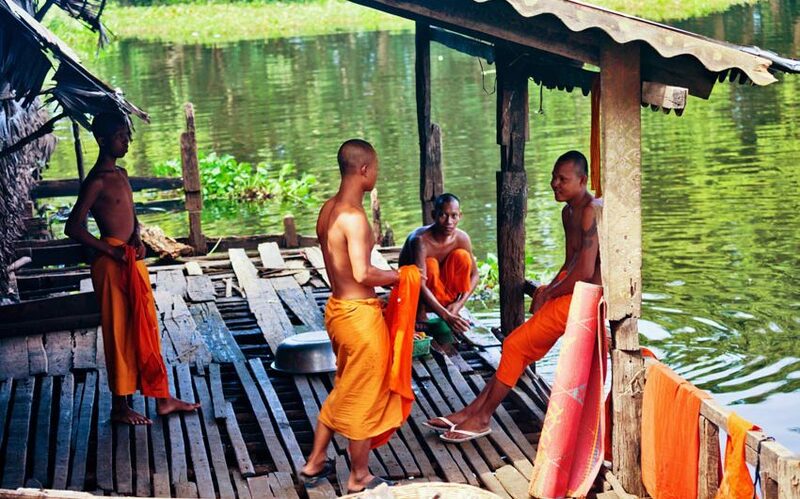 The Cambodian people are very modest, so avoid wearing clothes that are too short or revealing in public. Don’t touch the head of someone, even a child, because it is considered as an offense. For Cambodian people, the head is the noblest part of the human body. It will cause great offence to criticize the king and the royal family. Like in all Asia countries, don’t get angry but keep calm. It is very badly seen to raise one’ voice or be menacing. This kind of behavior makes someone lose face to a Cambodian, and it will create resentment towards you. When you eat, avoid pricking your chopsticks vertically in a bowl of rice, as it is a reminder of the incense burnt in temples in memory of ancestors. If you use a toothpick, hide your mouth with the hand, we don’t have to see your teeth. To blow your nose in public is offensive to the Cambodian people. Don’t invite anybody to join you by making a sign with the palm of your hand upward as it is likened to a sexual invitation. Although there are some tourist area’s that are used to western behavior remember once you leave these area’s it is important to respect the local customs. If you follow the above simple rules and advice you will have an amazing experience and be treated with respect by the local people you interact with. Previous postWhat is the weather like in Cambodia?